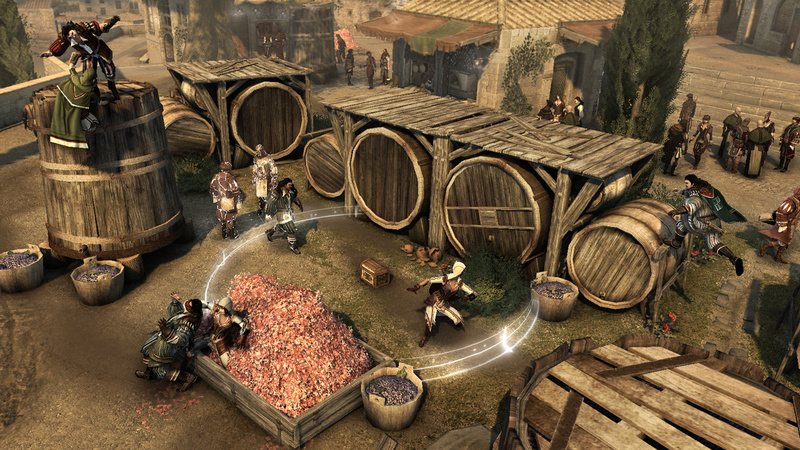 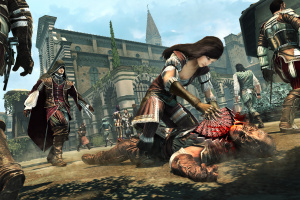 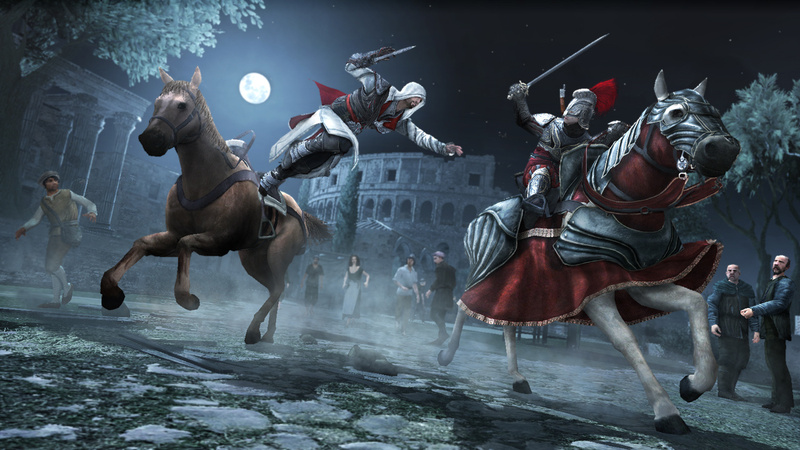 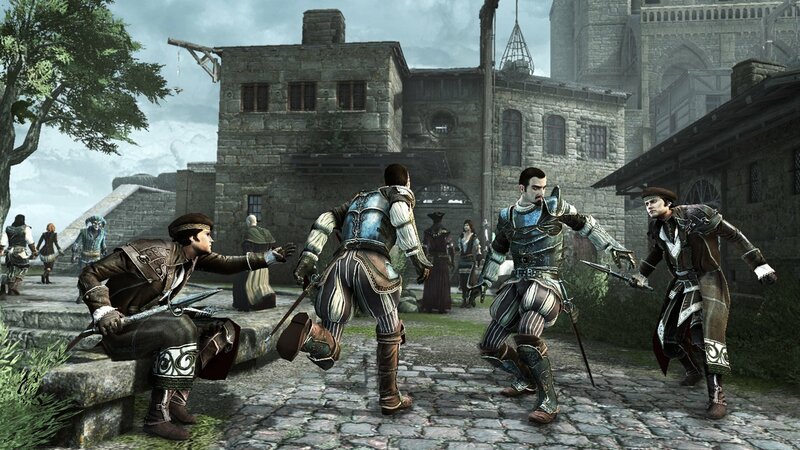 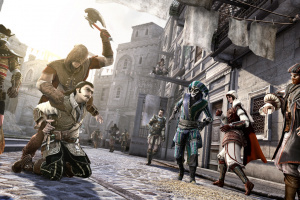 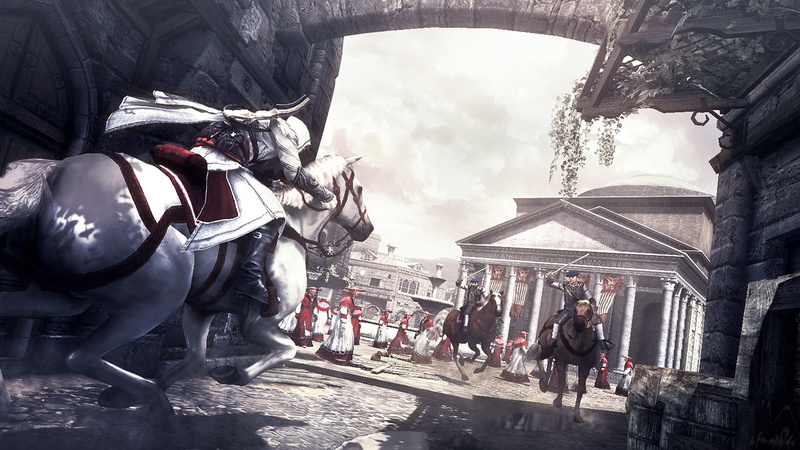 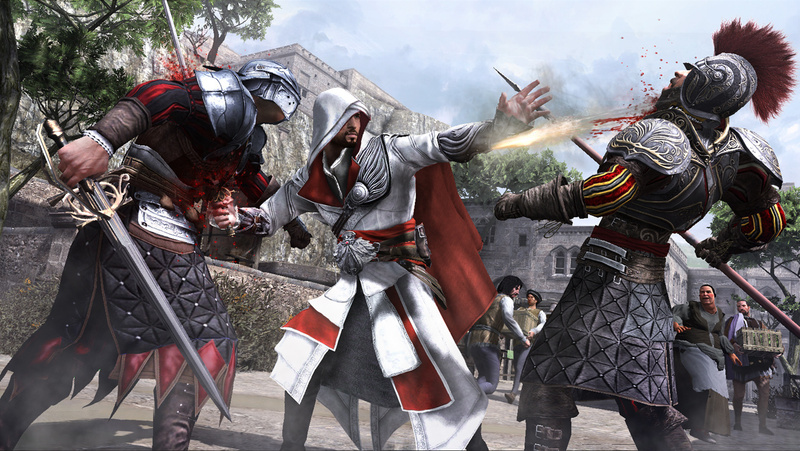 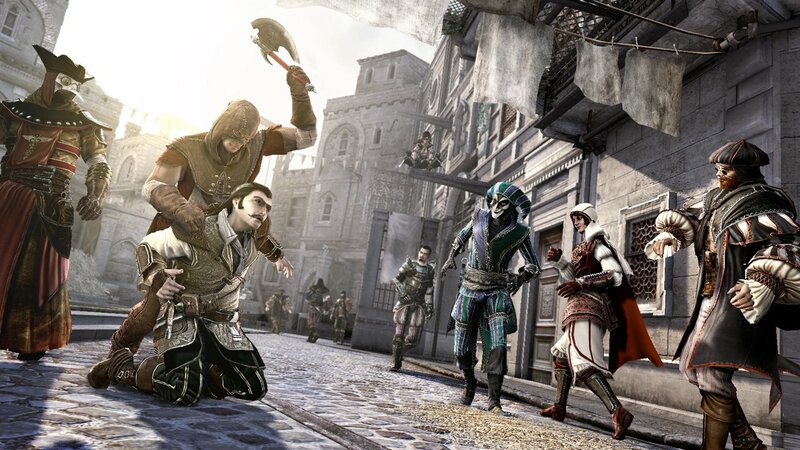 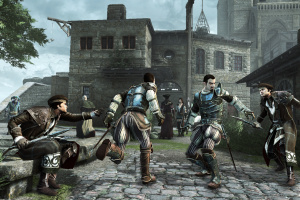 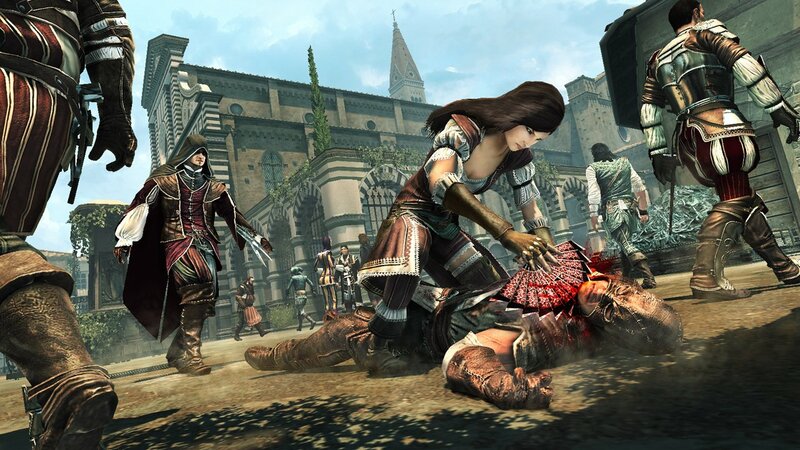 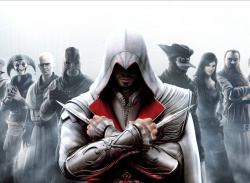 Assassin's Creed: Brotherhood picks up moments after the end of Assassin's Creed II. 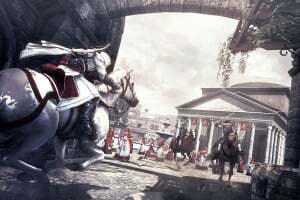 Remember that ending? 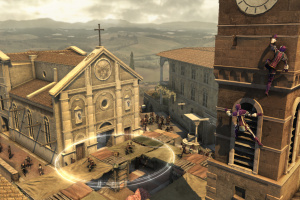 Bizarre artifacts, weird mystical people and strange prophecies. 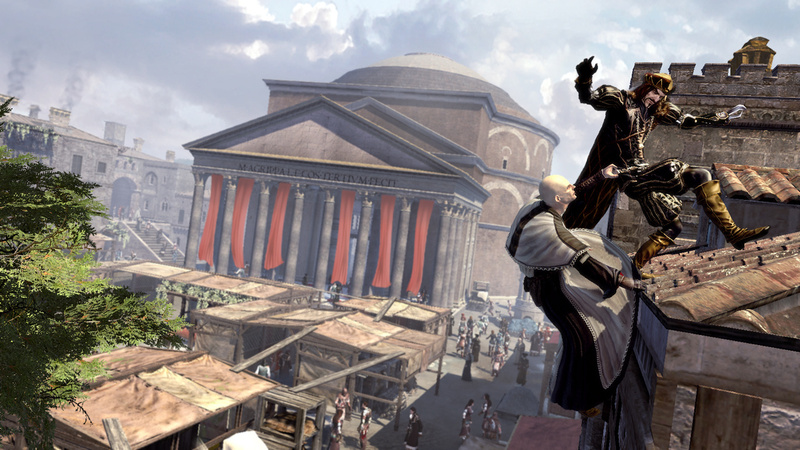 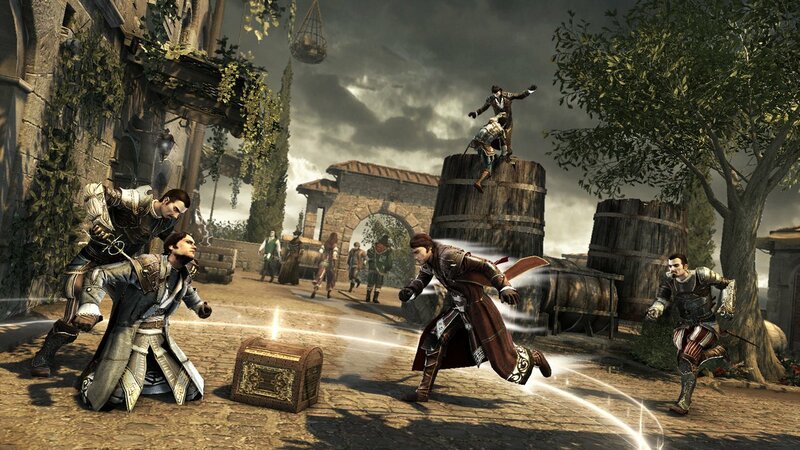 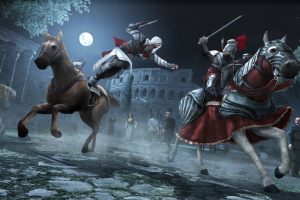 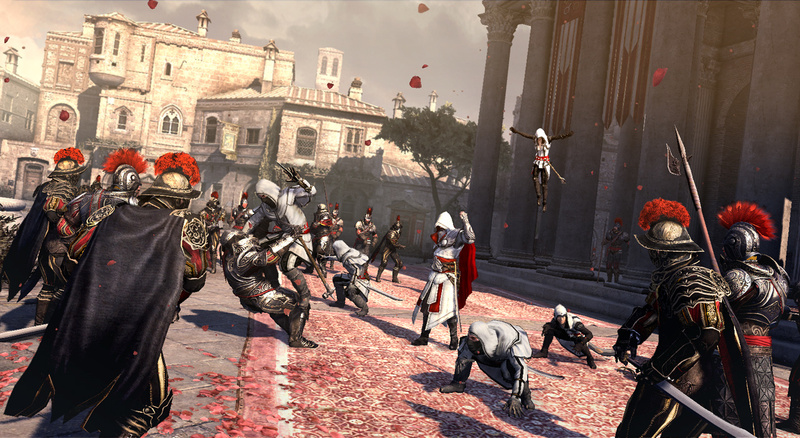 Brotherhood begins as Ezio leaves the Colosseum with the Apple Of Eden — a bizarre, powerful relic — in hand. 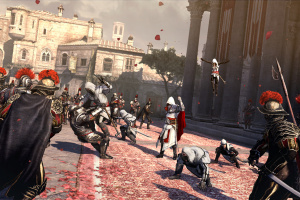 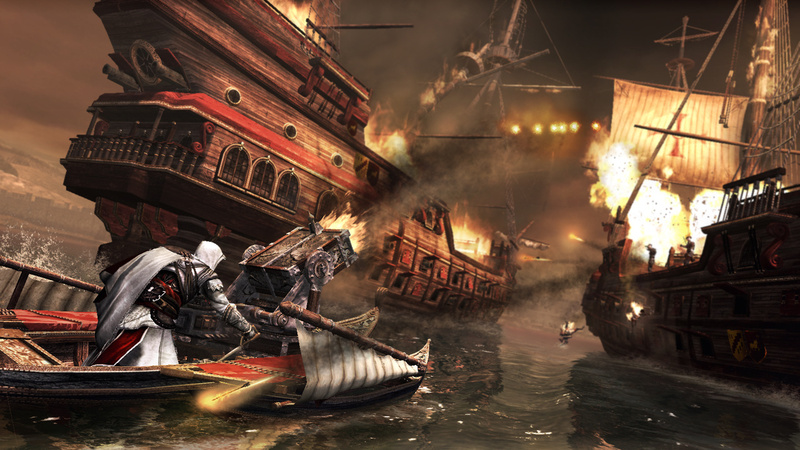 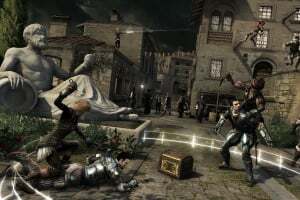 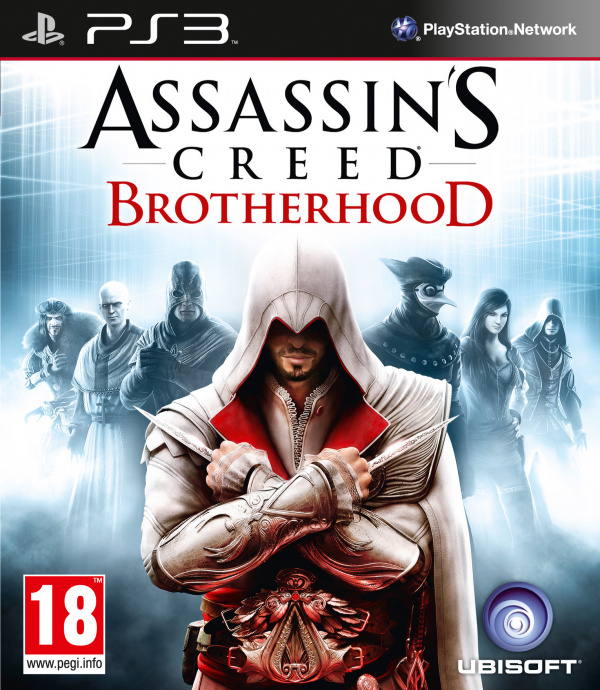 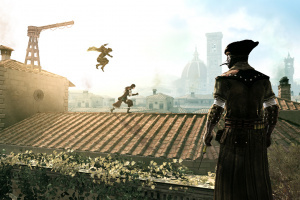 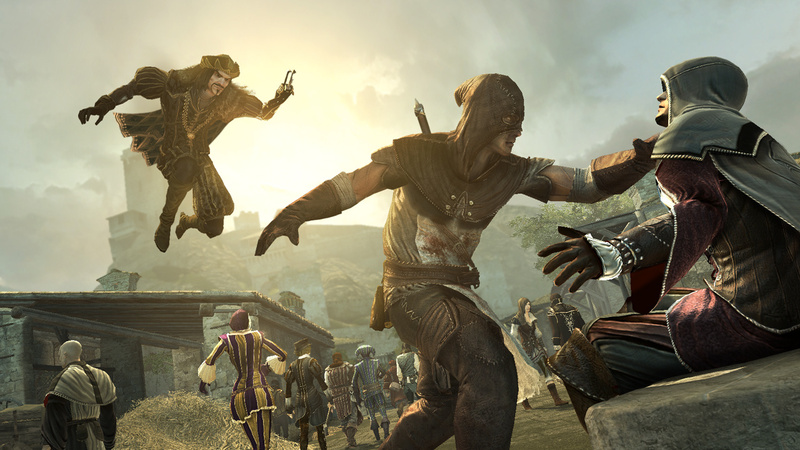 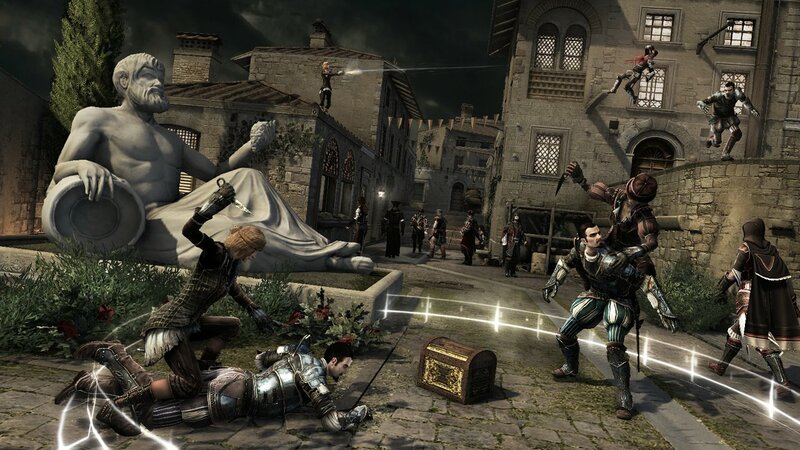 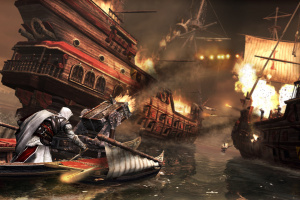 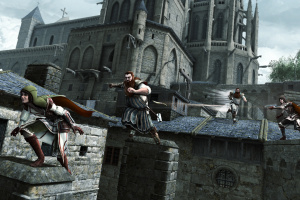 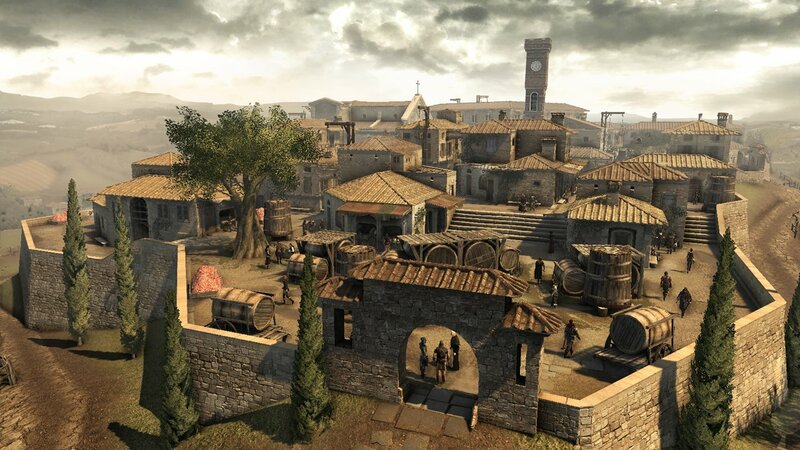 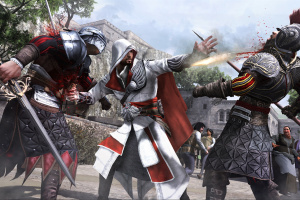 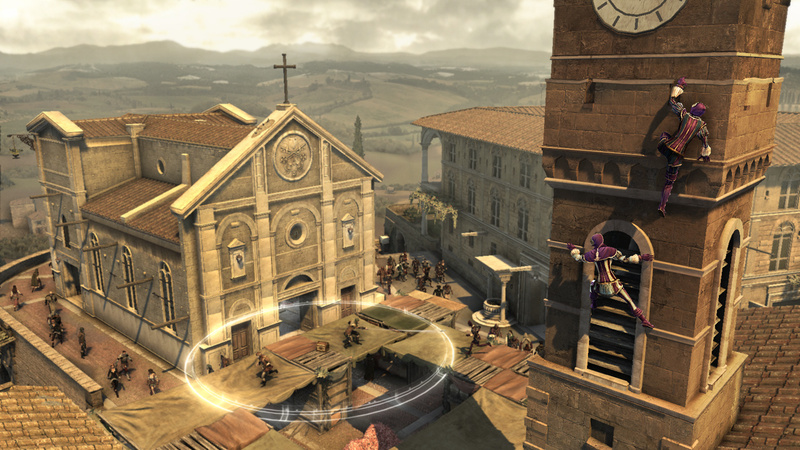 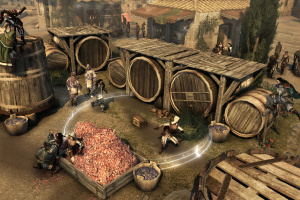 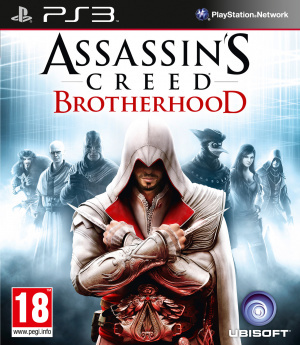 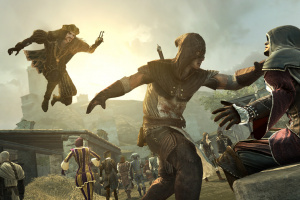 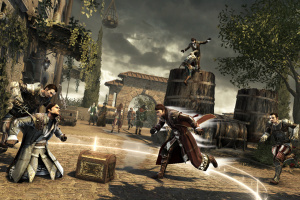 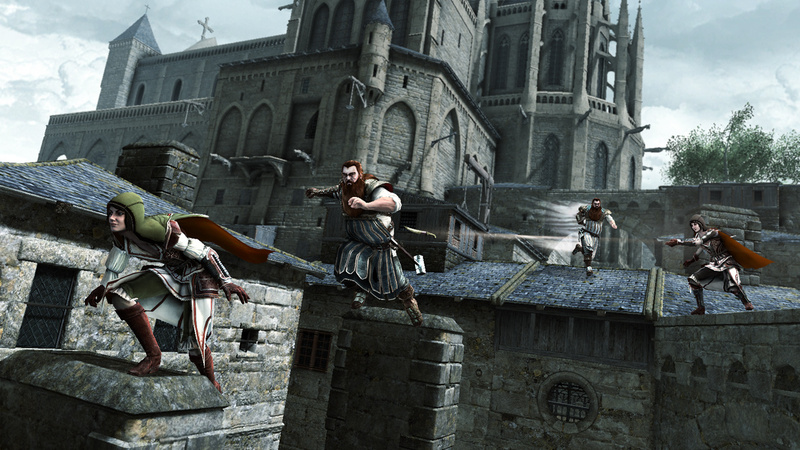 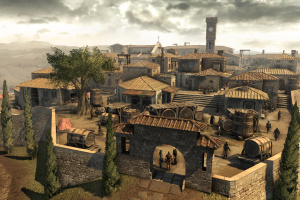 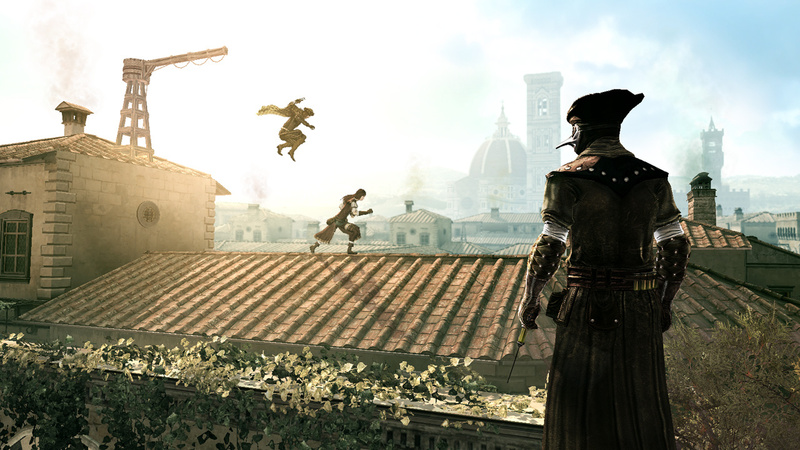 If Assassin's Creed: Brotherhood is your first title in the franchise, it might be worth..
enemies using tools such as poison darts, parachutes, double hidden blades, hidden guns, and an advanced flying machine at your disposal.